The C6 Bikes Rewards Scheme Terms & Conditions are listed below. If you have any questions about these Terms & Conditions please Contact Us. C6 Bikes Ltd is a UK company. We have a bricks-and-mortar cycle store in Waterbeach, Cambridgeshire as well as this online shop. We comply fully with all UK laws including distance selling regulations and would like your shopping experience with us to be enjoyable, informative and simple. To find out more about our shop, our people and our philosophy, please visit our about us page. The C6 Bikes Rewards Scheme ("the scheme") is operated by C6 Bikes Ltd, Waterbeach, CB25 9FX (C6 Bikes). C6 Bikes can cancel, withdraw or alter the scheme, including these Terms and Conditions, or any individual Rewards Account or Card, at any time. All Rewards Cards belong to C6 Bikes. Members must register their personal details and keep C6 Bikes informed of any changes. C6 Bikes cannot be held responsible for any loss of points incurred as a result of out of date details. The Rewards Account or Card, in whatever form, is not transferable, cannot be copied and can only be used by the member who is named and registered for the Account. We do not issue additional Rewards Accounts or Cards for the same member. C6 Bikes can take any action it considers appropriate if we have reason to believe that you are abusing the scheme. We will remove Rewards points from Rewards accounts that haven't been used for 3 years. We don't share your details with anyone outside of C6 Bikes. We only use your personal details to identify and contact you, process your transactions and update your Rewards Account. 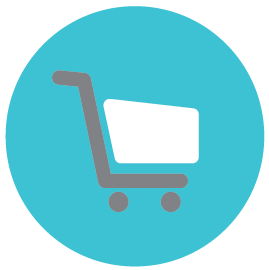 We will also analyse your purchase history to provide you with relevant and personalised offers, information and advice. You will collect 4 points for every £1 you spend on qualifying purchases. Points are added to your Rewards Account at the time of purchase. In store, if you forget your Rewards Card, please retain your receipt. You will need to provide this receipt within 30 days of the transaction with your Rewards Card to be able to collect your points. We are entitled to remove points at any time if products are returned for any reason and a full or partial refund of the purchase price is given. This also applies to the exchange of products, unless the exchange is for products with an equivalent points value. 1 point is worth 1 penny to spend on products in store. We will not exchange Rewards points for cash and the offer is non-transferable.